A single narrow-based papillary frond showing inflammation within the urothelial lining and in the lamina propria. Urothelium shows reactive atypia. 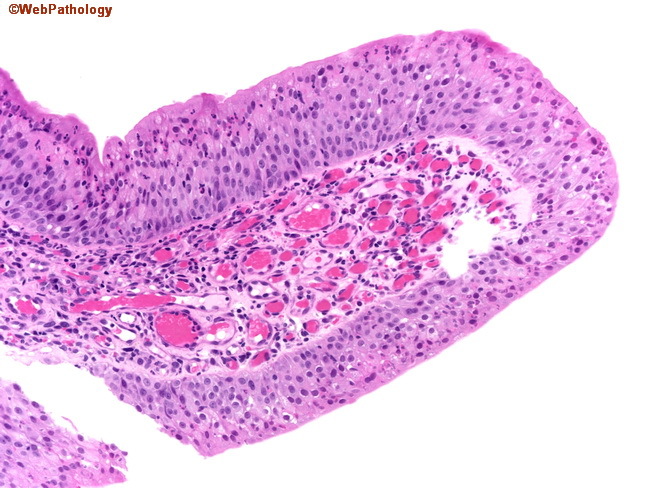 There were isolated foci mimicking a urothelial neoplasm but the overall histologic features of the entire lesion were those of papillary cystitis.